I would like all those of you who don't live in the British Isles to take a good look out of your window.....do you see sunshine?......it's quite easy to recognise.....it makes everything look brighter, clearer, and lifts the spirits......although I'm only going off hearsay, because we haven't seen any for too long! So.......if you are hoggin' more than your fair share......play nicely, and share!!! If you've been around here for a while, you'll know that I really do not like the heat, but a little benign sunshine does everybody some good......even if it's just a dose of Vitamin D.....haaa! I've mentioned that I've been struggling to get any crafty creatin' done, but I actually did manage to spend some time, today, getting one together for another grandson's birthday. I've not made many easel cards, so thought I'd try my hand. I found a few sheets of this really nice woodgrain card when I was in Cornwall, and thought it would be good for a male card. I love Bugaboo images, and this one really caught my eye.......seriously cute! Edit: This is actually a freebie from Dearie Dolls, NOT Bugaboo....sorry! The "Howdy Partner" sentiment is from a stamp set I've had forever, and the #6 was already printed on the paper....haa!....just went around the edge with a marker to make it stand out a bit more.......done! Hee-haaaaa.......or whatever strange noise cowboys make........!! How lovely that he was your birthday present! What a considerate family you have! What a great little guy card - that woodgrain paper looks brilliant. Yee!Haw! Love your cowboy card! How wonderful to share such a special day! I am willing to discuss a trade on the weather. You ship me a few rainy days and I'll give you two sunny days! Everything is very dry and hot here! A gorgeous card Anne-Marie,your grandson will love it. This is just totally honky tonk! Love your card style and the image is fantastic! So very cute, Anne-Marie. Hope you and your little "Partner" have a good birthday. As for the sun, well I'll gladly send it across the pond to you for a few days. Temps here have been stiffling, and too much sun with no rain is causing drought conditions. Anyhoo, your little easel is super fab. Wonderful colouring and papers. You "done good", gal (grin)! This is adorable! I know your grandson will love it too. 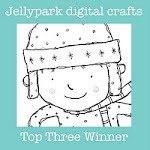 So glad you joined us for the Digi Makeover Challenge from Paper Makeup Stamps this week. Happy Birthday to both of you. This is really, really cute!!! I love easel cards! I'm sure your little guy will love this!! Sorry for your dreary weather!! But remember that "back of the clouds, the sun is always shining" and it will come out someday!! If he does not like it send it over here because I love it! Real cute image and great paper. When you are finished with the sun, please send here, we NEEED it so badly. 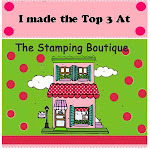 Love your card and I too love the Bugaboo stamps!! Before I forget Happy Birthday to you and to your grandson. I would send you some of the sun that we are having for some of your rain if it was at all possible. 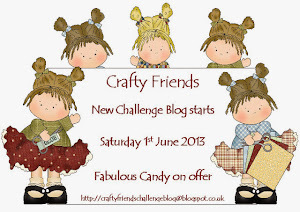 Thank you for sharing your great easel card with us at Love to Create Challenge Blog!! Fantastically Fun Card!! 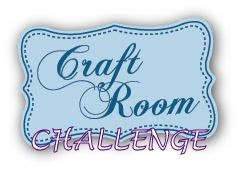 Thank you so much for playing with us this week at Love to Create Anything Goes Challenge!! Please Come back & play with us again really soon!! This is a totally fantastic card!!! It just shows that you excel at boy cards, even if you have to make too many of them during this time of the year. :) Happy, happy birthday to you and Spencer. Hugs!! !